CHICAGO – Actor and Oscar Winner Russell Crowe, known for films such as “L.A. Confidential,” “Gladiator,” “A Beautiful Mind,” “Cinderella Man,” “Les Miserables” and “Man of Steel,” breaks out in his directorial debut and also stars in “The Water Diviner,” a story of war and his native Australia. CHICAGO – Christopher Nolan’s “Dark Knight” trilogy can’t be blamed for the deteriorating state of modern action films any more than Steven Spielberg’s “Jaws” can be held accountable for commercializing American cinema. Yet the spectacular box office performance of Nolan’s terrific series has naturally caused studios to misinterpret the root of their success. CHICAGO – Place the Superman legend into the hands of director Zack Snyder (“Watchmen”) and storyteller/producer Christopher Nolan (“Dark Knight”), and old Supes is bound for a makeover in “Man of Steel.” When it works, it’s adds to a legend’s richness. When it doesn’t, it is less than hero. CHICAGO – From the CGI-heavy attack on Krypton that opens Zack Snyder’s “Man of Steel” to its soaring finale, I had the same reaction -– where’s the “Man half? Snyder’s attempt to reboot the Superman legacy with the loving assistance of David Goyer and Christopher Nolan of “The Dark Knight” fame gets the superhero part but misses the humanity at the core of this legendary character. Where are the signature Catwoman cat ears?! 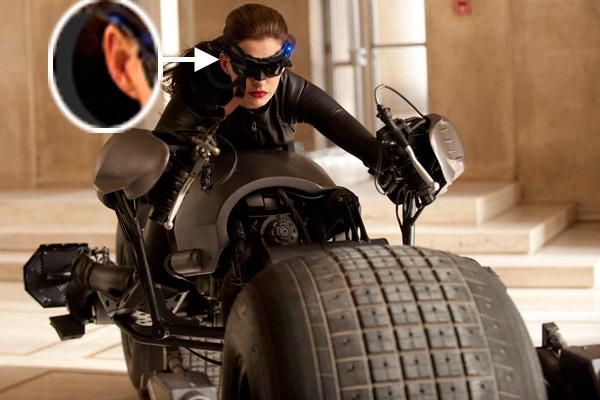 CHICAGO – For your TGIF treat today, Warner Bros. on Friday revealed the first official look at Anne Hathaway as the Catwoman in the upcoming highly anticipated Christopher Nolan Batman finale “The Dark Knight Rises”! CHICAGO – In the same day major news broke out about “The Dark Knight Rises,” another key casting choice in an equally anticipated Warner Brothers/Legendary Pictures production has also been buzzing throughout cyberspace.